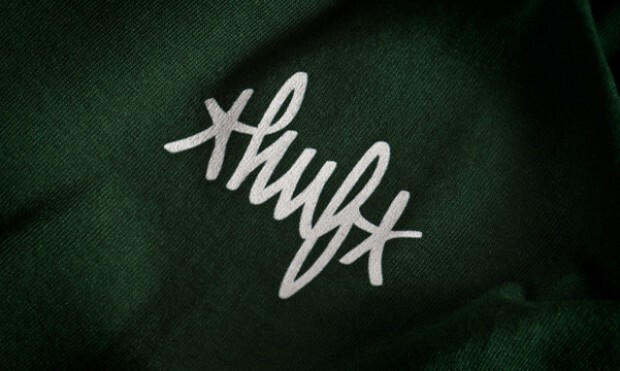 As part of their Holiday 2011 collection, California’s HUF have teamed up with legendary graffiti artist Eric Haze, delivering a collection of apparel and accessories consisting of three T-shirts, a snapback cap and a skateboard deck all flaunting some fresh designs from the New York artist. 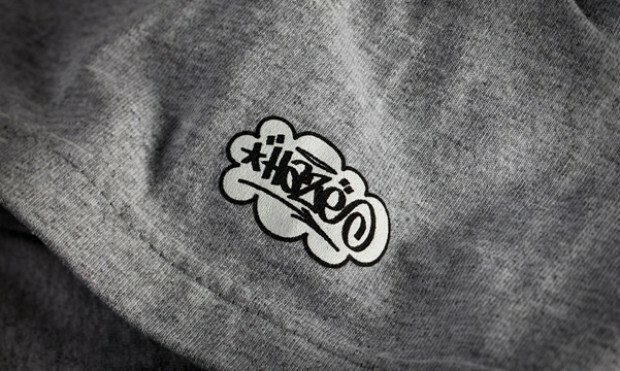 Haze is a true legend, his work dates way back to the early seventies, his support to hip hop has reigned strong through graffiti’s gallery years in the eighties and in the nineties his work contributed to the birth of streetwear with his own clothing line. 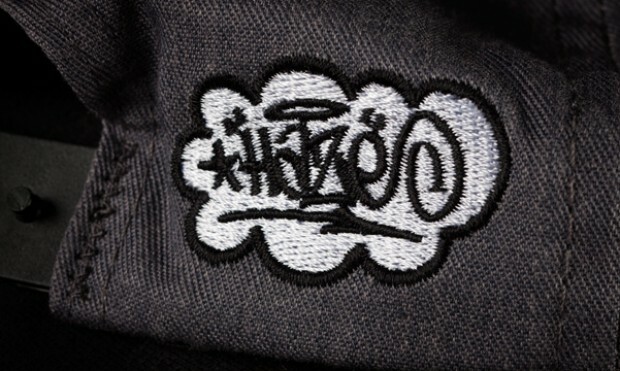 Over the years Haze has collaborated with tonnes major brands as well as running his successful store in Harajuku, Japan. 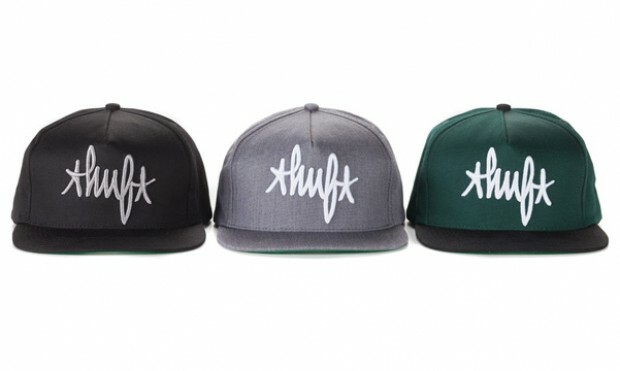 The snapback caps feature one of Haze’s distinctive handstyles representing the HUF logo and are available in black, heather grey and finally spruce green with a black peak – all three come with white HUF script, which also features on the first T-shirt. 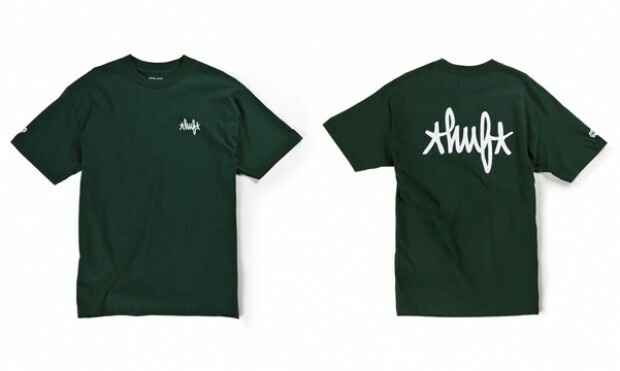 The second T-shirt features the HUF logo in Haze’s fat pen handstyle branded on a pocket on the breast and again across the back while the third and final T-shirt places the HUF logo in a simple classic Haze design in green, blue, and black on a white, black, and red T-shirts. 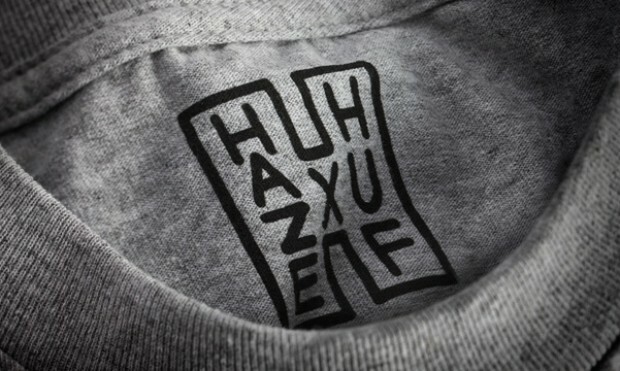 To top the collection off, there is a sick, colourful skateboard deck featuring the signature Haze style, bringing the project together nicely. This is a collaboration that really works, and it’s sure to fly out of stores fast. 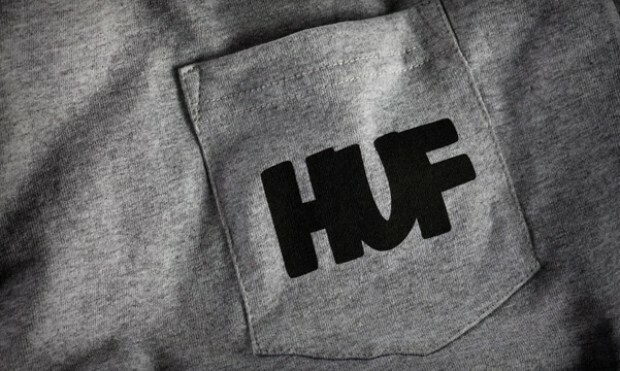 Go get what you can now at Focus or Urban Industry, and from all HUF stockists later this week.